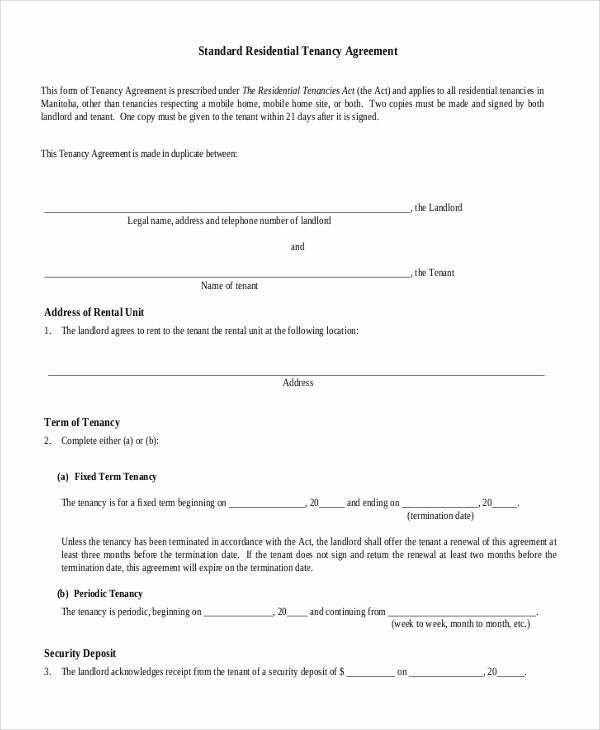 If you are planning to let your property on rent, you can download this Furnished House Rental Agreement template. The template can be customized fully and printed for use. 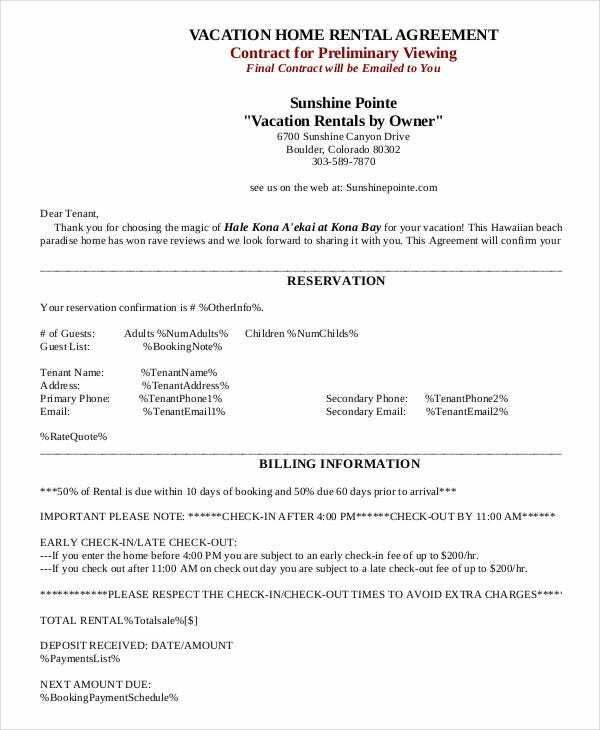 For people who want to let their apartment on rent to people coming for vacations, they can definitely download this Vacation House Rental Agreement template. Just customize the content and use it. 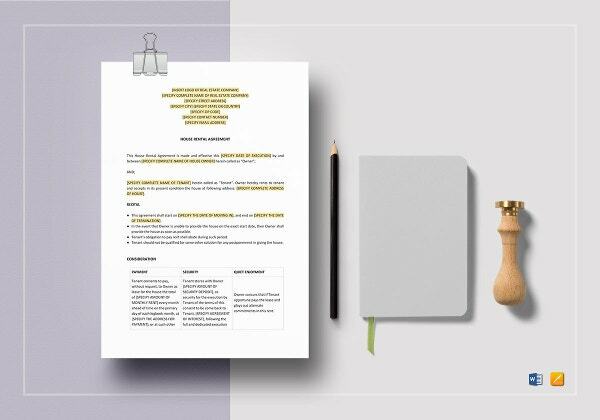 This Monthly House Rental Agreement template is suitable for any landlord who is letting their property on rent and wants to create a Short-Term Rental Agreement. Print it after customization. 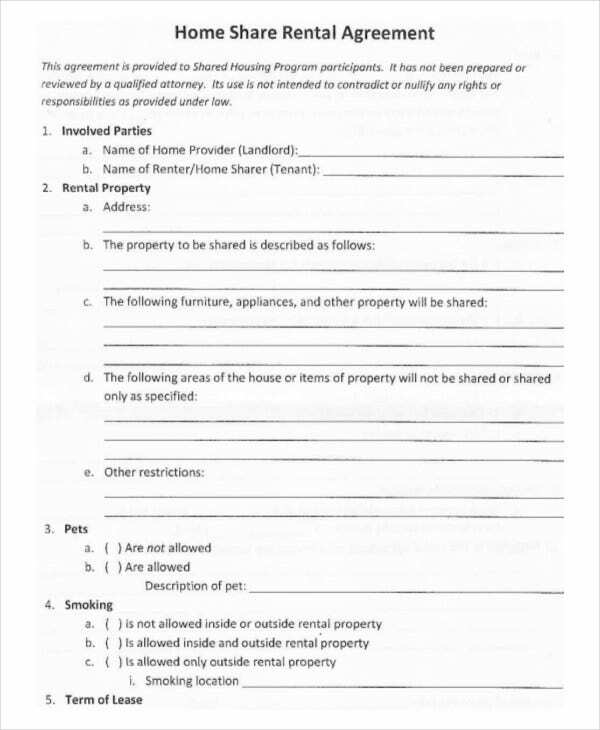 > Usage of House Rental Agreement Samples? 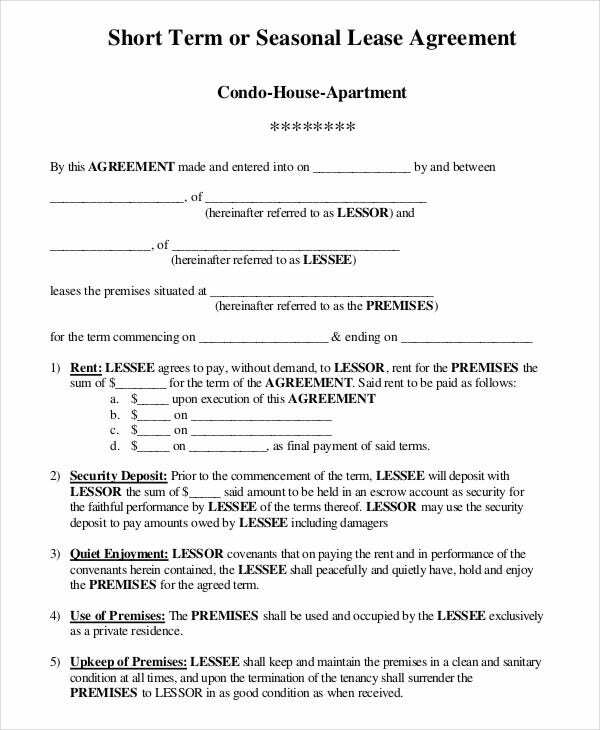 While letting out a property on rent or lease to a tenant, a lease agreement must be always created. 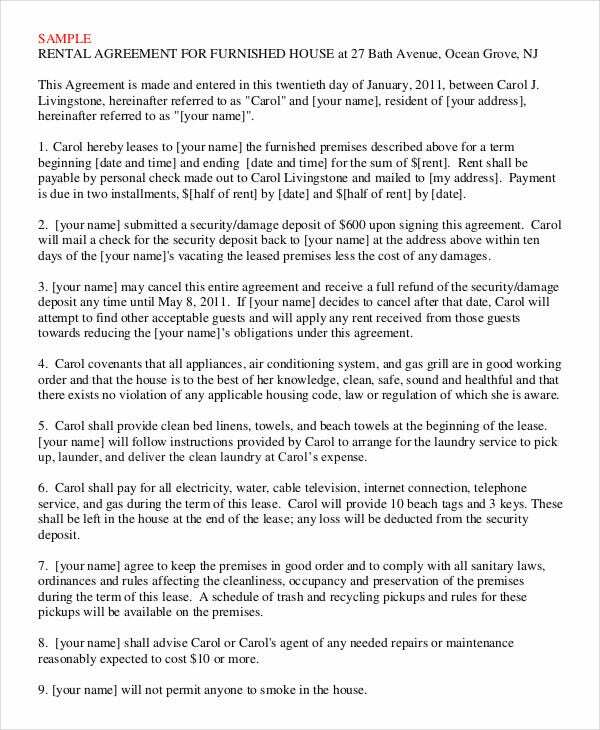 All the clauses and important points from the landlord’s view are mentioned in this agreement for the tenant to read, agree, and later sign on that. This is totally compulsory because this agreement copy has to be retained by both the parties as a proof that nothing goes beyond what has been agreed to before renting out that property. 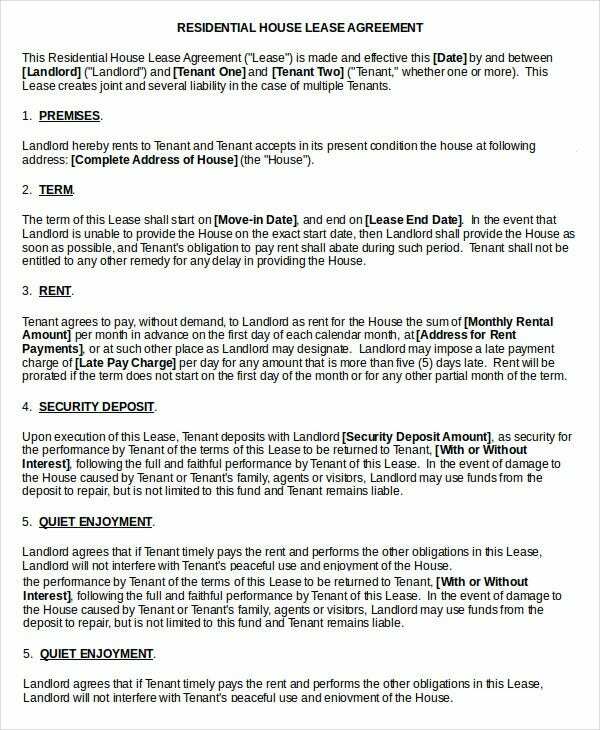 These House Rental Agreement sample templates come in use for this purpose and they have all the necessary clauses mentioned on them which can be customized too. 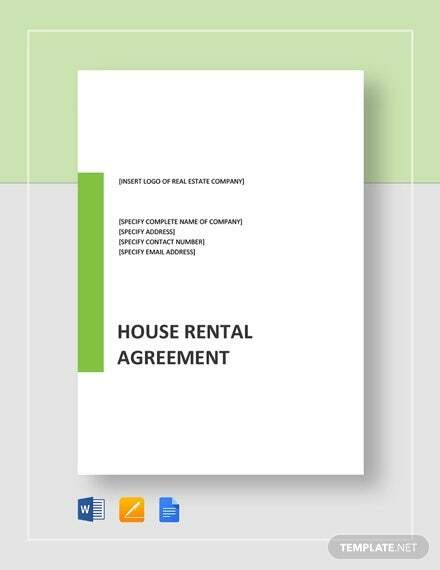 A person who is providing his/her home on rent on a shared basis should download this Shared House Rental Agreement template. The content can be edited fully and then printed. 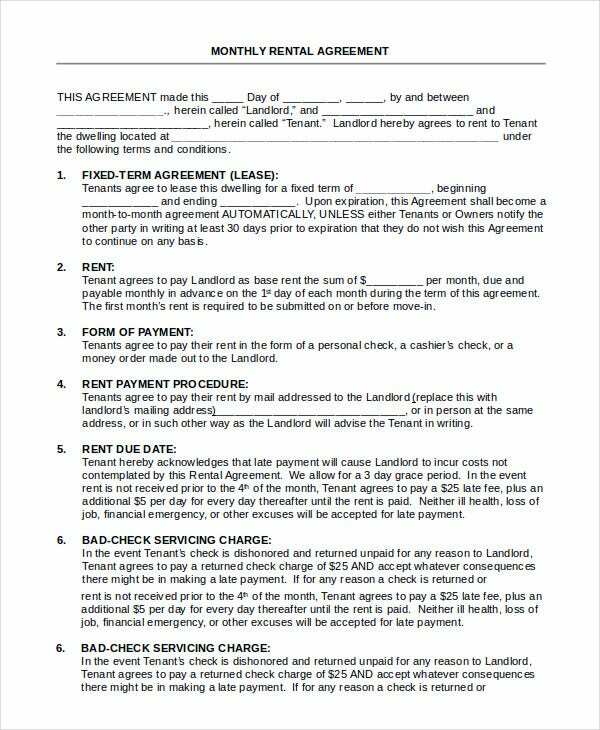 For any residential property let out on rent by a landlord, by downloading this Standard House Rental Agreement template, a proper agreement can be made with the tenant. Just customize and use it. > Target audience of House Rental Agreement Samples? 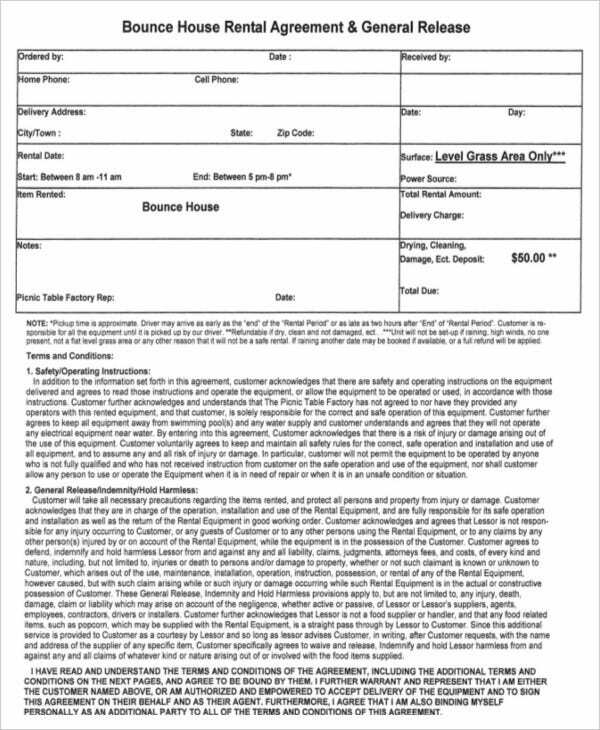 People who are letting out their apartments, residential houses, or other forms of properties for rent or lease, will require this House Rental Agreement Sample templates. Even people looking for properties for rent as tenants can use these free templates with their respective landlords. 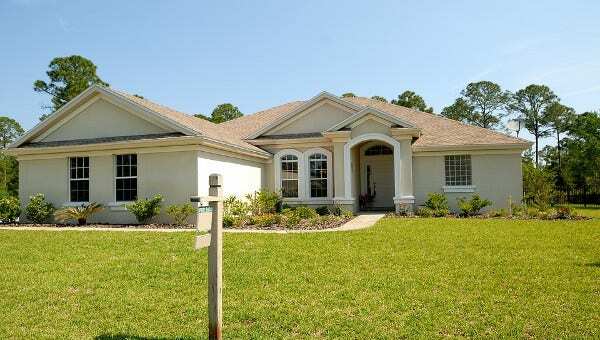 These House Rental Agreement Sample templates are available mostly in PDF and Microsoft Word format. 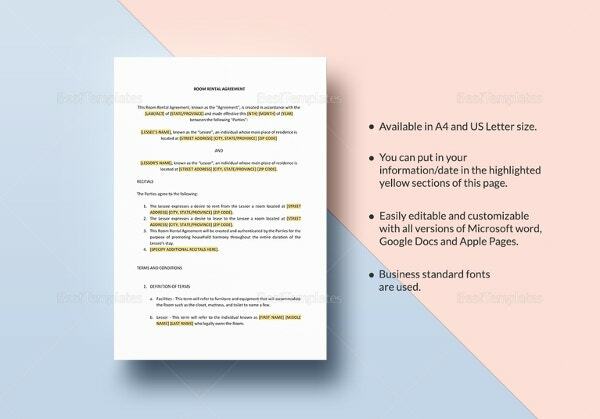 These templates are 100% printable and the content in the form of clauses can be edited as per your requirement after download. We offer a lot of varieties in this template collection and you can choose them accordingly. 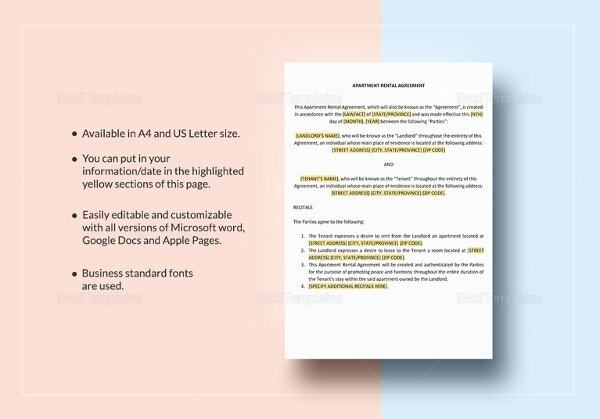 Browse and choose from these extremely professional House Rental Agreement template samples designed exclusively by the experts, for making a proper agreement between a tenant and the landlord. Based on your requirement, you can specifically download one and use it.